I have remarked before about the continuing significance in Welsh culture of the killing of Llywelyn, Prince of Wales, in 1282. I was reminded of this, ironically enough, during a recent visit to Lincolnshire. There, in the fens of eastern England, stands a memorial to Gwenllian, Llywelyn’s daughter, who was placed in the Priory of Sempringham as a baby after her father’s death and remained there until her own death at the age of 54. It is said that she was not told who she was until late in her life. 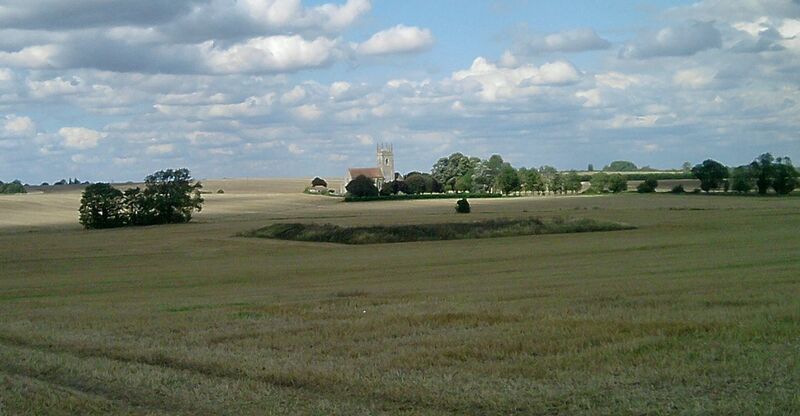 The Priory no longer stands, but fragments of its sandstone walls lie scattered across the surrounding land where its foundations are clearly visible, unploughable, in the middle of a wheat field. The medieval church is still standing and, in spite if being at the end of a cart track a mile or so from the nearest tarmaced road, and without electricity, is still in use. The memorial stands on a bend in the cart track just outside the church enclosure. A commemorative stone was first placed here in 1993 but had been vandalised and was falling into disrepair. 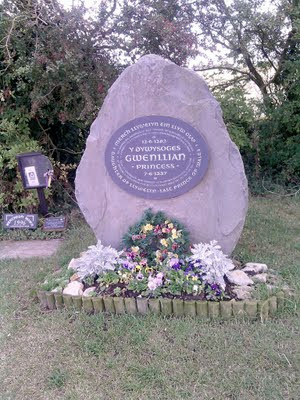 The current memorial stone, with its inscription by the calligrapher Ieuan Rees, was set up in 2001 and is maintained by the Princess Gwenllian Society. In the church, which was opened for us by a helpful chap called Nigel, there is a small exhibition about Gwenllian. Outside, in the churchyard, is a well which is said never to have run dry. This seemed a fitting testament to a woman whose continuing presence in the cultural memory of Wales is itself a testimony to the power of such symbols of lost sovereignty, embodied here in the otherwise forgotten life of a medieval nun. The remains of the priory with the church in the far distance.